Telephone, Bus and Taxis. 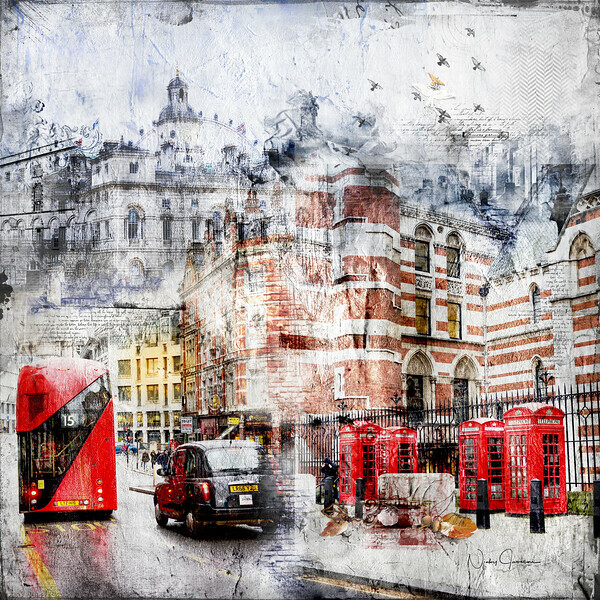 My latest art composition is created from several of my photos and layers of grunge texture and features the beautiful architecture of the Royal Courts of Justice in High Holborn, and Horse Guards Palace, London. Go down winding streets and off the main drag to find some really spectacular sights...especially architecture. Many do not realize that the back of the Royal Courts of Justice with its brown and white architecture is even more stunning than it's more familiar front which is on Fleet Street.